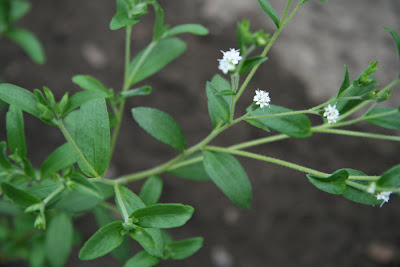 I won't put more details about stevia here since there are thousands available on the net. What I want to show here is that this herb can easily be propagated and commercially produced here in our country. I started with two (2), yes two, small pots of this herb a year ago. Now I've propagated about four thousand. I plant them in small seedling bags. Stevias produce flowers but don't produce viable seeds. We propagate them through cuttings. Use the non-flowering soft tips for propagation. This is a good example of a non-flowering tip. Always remember to prune your stevia. But if you have lots of it, it's OK to let it bloom. They invite lots of beneficial insects. 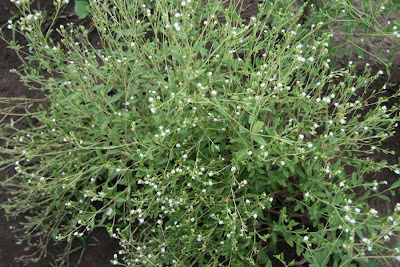 We've decided to allot a small portion of our small farm for this herb. Please remind me to post instructions on how to propagate this lovely herb. you are very generous with your knowledge. Thank you. I'll post more pics soon. Drop by EDSA garden on Saturday, Aug. 23. I will be conducting a seminar on composting and vemicomposting. You took my interest here on stevia, just a short question though. How do you process this herb to become somewhat like a substitute for sugar? There are a lot of articles on the web on how to process stevia. Turning it into crystal is quite difficult, you'll be needing equipments. We usually just dry the leaves turning them to tea. Helllo, I am in The Netherlands and found out about Stevia about 2 weeks ago. Since last Friday I have 8 plants, 4 proper little plants and 4 very young ones. I have just topped them and the tops are now in the oven at 60 degrees C. with the door open. I am very interested in what you are planning on putting on your site regarding making your own cuttings from the top bits. I hope to read more about this lovely tasty plant soon. 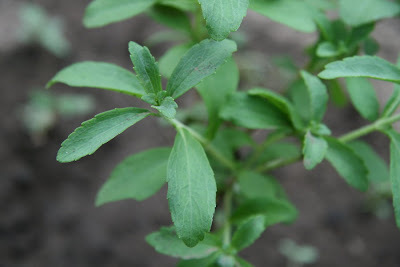 Do you sell Stevia Plant? 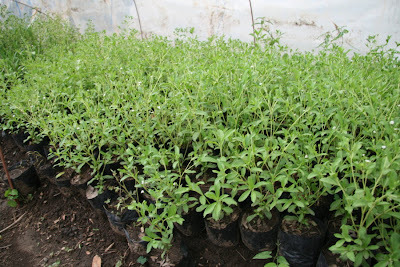 We sell Stevia Plants and other herbs. You can drop by at any of our shops. Just search AANI in Facebook for store locations. 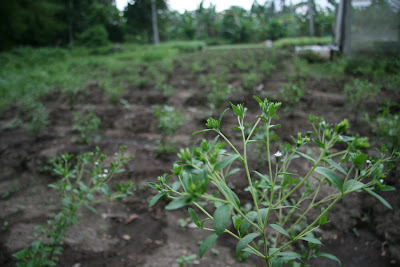 Prices of Stevia plants start at Php 35.00.